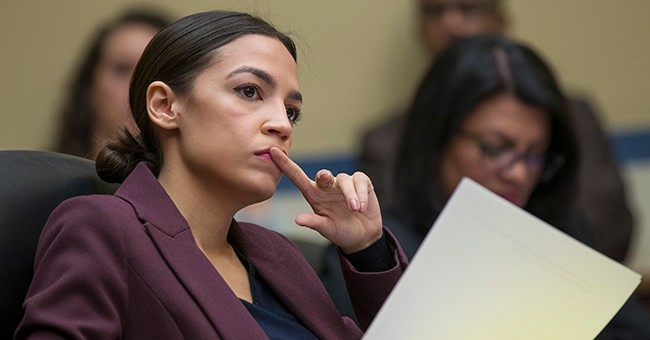 Rep. Alexandria Ocasio-Cortez may have backing for her Green New Deal from fellow progressive politicians but if the widespread criticism she’s received hasn’t been telling enough for her, perhaps the renewable energy sector’s dismissal of it will be. Representatives from solar and wind companies lauded the “enthusiasm” behind the GND but called it out for being completely unrealistic and too politically divisive, according to a Reuters report. “If you just broadly endorse the Green New Deal, you are liable to upset one side of the aisle or the other. And that’s not constructive,” said Tom Werner, the CEO of SunPower Corp, one of the nation’s biggest solar power companies. The report notes that with better technology that enabled renewable energy businesses to lower prices, wind and solar companies are expanding their growth from blue, coastal states into the red heartland. They simply cannot afford to risk losing a growing base of clients. Ocasio-Cortez introduced the resolution last month along with Democratic Sen. Ed Markey of Massachusetts. Promising a “massive transformation of our society,” some of the resolution’s goals include retrofitting every building in America to be energy efficient, eliminating air travel, cars, and fossil fuel and nuclear energy, as well as guaranteeing jobs.